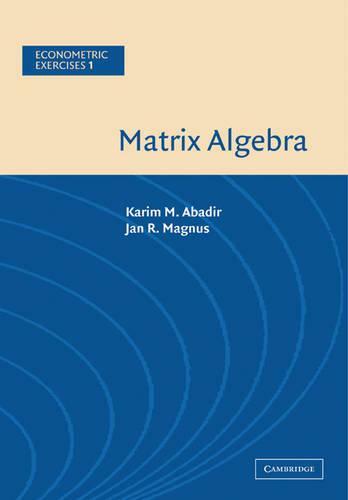 Matrix Algebra is the first volume of the Econometric Exercises Series. It contains exercises relating to course material in matrix algebra that students are expected to know while enrolled in an (advanced) undergraduate or a postgraduate course in econometrics or statistics. The book contains a comprehensive collection of exercises, all with full answers. But the book is not just a collection of exercises; in fact, it is a textbook, though one that is organized in a completely different manner than the usual textbook. The volume can be used either as a self-contained course in matrix algebra or as a supplementary text.